Over the summer we are having informal shed workshops. No set topic, but all are welcome to come along, preferably (but optionally) with your soldering iron and a project to work on. That might be a uBITx transceiver, a magnetic loop antenna, a power supply, an arduino nano keyer project, or whatever takes your fancy. There are eight magnetic loops under construction for a start! 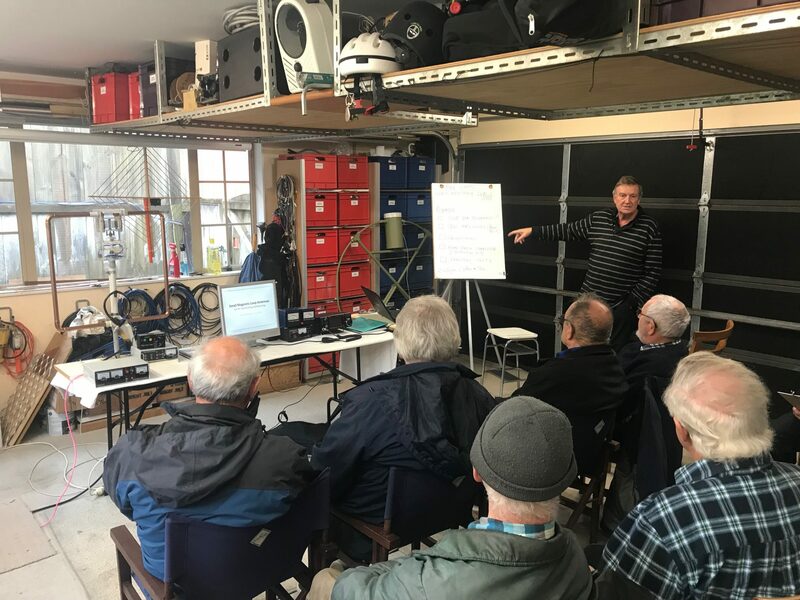 #1 in the summer series kicked off at Bernard’s QTH, 1 Winsley Terrace, Churton Park, from 1pm – 3pm, on Sunday 7 October 2018. Eight turned up, with George ZL2AG and Don ZL2BD talking about their regenerative and super-regenerative receivers.